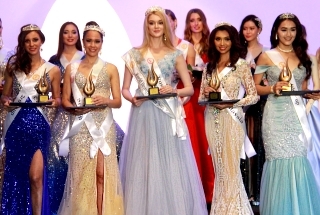 MEET THE 82 DELEGATES OF MISS GRAND INTERNATIONAL 2018! Last edited by firerprince on Wed Oct 03, 2018 8:35 am, edited 2 times in total. Re: MEET THE 83 DELEGATES OF MISS GRAND INTERNATIONAL 2018! As per website, total is 79.
chaoxu08 wrote: As per website, total is 79. Yep you are right However, I've found out that the website is not as fast in updating compared to their FB page. There are some girls that are confirmed in their FB page but not on the website (yet). Moreover, there are girls who are sashed Miss Grand but not yet confirmed on either FB or Website so I'm yet to include them in this list...if MGI will confirm them, this number will still rise up. Re: MEET THE 82 DELEGATES OF MISS GRAND INTERNATIONAL 2018! I think we should avoid saying "it's gonna be a bloodbath" or anything close to that especially with the advocacy of MGI and the current genocide happening in Myanmar. It would be nice if the people here are a little bit more sensitive with the current happenings in the world as well. SO MANY BEAUTIFUL GIRLS, IN FAIRNESS !!!! 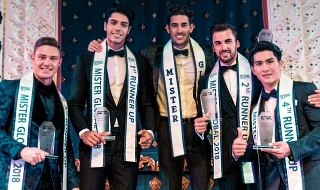 Rigt now Grand is the one of the most predictable pageants out there. (Probably the only one). And this is its strongest asset. Where beautiful girls who shine in prelims make it to the semis. Like you know they will be up there if they perform. There is always exceptions but in the case of Miss Grand this is minimal. This is a great batch!!!!! Very impressive and competitive. My favorite beauty pageant next to Miss Universe! MGI is a beauty pageant where beauty comes first! Jonathan Nguyen wrote: Vietnam’s departure. Kerkeloo wrote: I think we should avoid saying "it's gonna be a bloodbath" or anything close to that especially with the advocacy of MGI and the current genocide happening in Myanmar. It would be nice if the people here are a little bit more sensitive with the current happenings in the world as well. I totally agree. 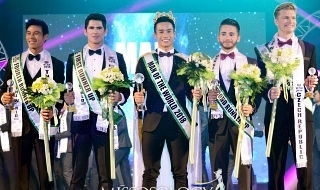 For a pageant that aims to stop violence and war, we should be careful in using words that has direct reference to war. Let me say I am a fan of Jonathan Nguyen. I find his views really sensible except for his attacks on Miss Earth.